On Episode 121, guest Josh joins The Confessionals to first share his experience coming across a gorilla - which he quickly realized was in fact a Bigfoot! Josh also shares with us some experiences of paranormal activity, including an encounter with a ghostly entity that went right through his body. Today is a bonus episode for a listener who recently lost his son, unexpectedly, in a tragic accident this week. Kevin has been listening to The Confessionals to help keep his mind clear, and we thought it would be a good idea to give him some extra material to listen to while he and his family are mourning. 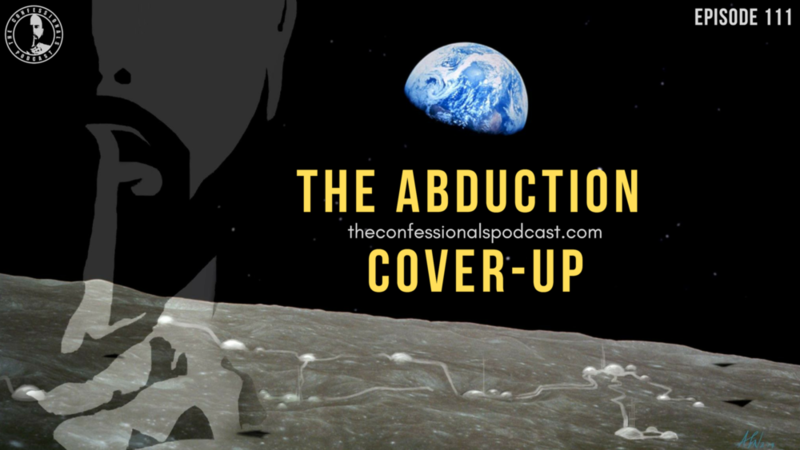 On Episode 120, we bring back Austin from Episode 111: "The Abduction Cover-up" to talk about some newer developments in his memories of serving in a 20-and-back program run by Illuminati-type organizations and extraterrestrials. Austin also shares with us some paranormal experiences he has had that may or may not have something to do with his abduction. Anubis was just the beginning for Mel. The life that she has lived you would not wish on anyone, and she comes on The Confessionals to share it all. 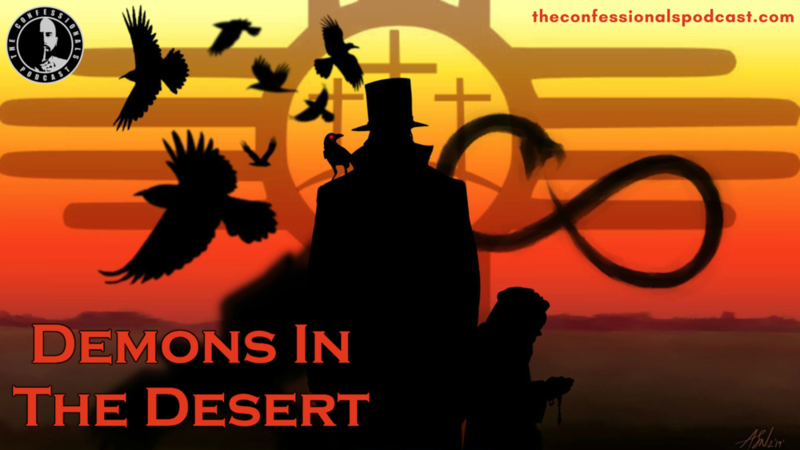 From a consistent haunting of Anubis, the Egyptian god of the dead, to abductions and other hauntings, our guest Mel seems to be one of those people who has a magnetic attraction for paranormal experiences, whether she wants to or not! On Episode 118, we welcome Mr. X Dreams from YouTube! 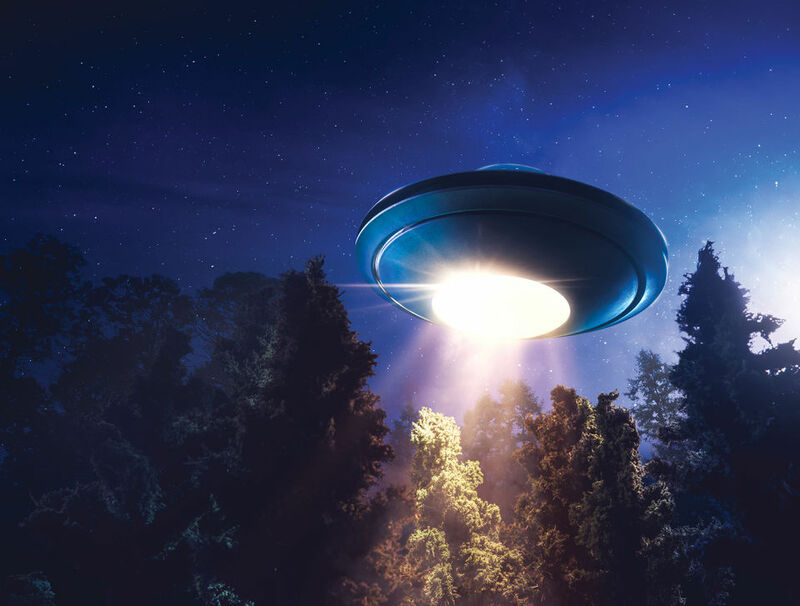 He shares with us a UFO encounter he experienced as a child along with other family members. Over time, they each forgot about the experience one by one, except Mr. X Dreams. This specific encounter actually kicked off a life of experiences, some of which include an entity performing what can only be described as some kind of medical procedure, and Mr. X Dreams’ ability to control his dreams and interact with others in them. While deployed in Afghanistan he also encountered two dogmen. Listen in and enjoy an episode of strange encounters with this interesting YouTube personality! On Episode 116, guest James shares stories of his personal interactions with the infamous serial killer John Wayne Gacy. During the last two years of Gacy’s life, James spoke with Gacy one-on-one multiples times, as he gained insight into the mind of a serial killer. When the time came for Gacy to be put to death, James chose not to oblige a last request from him, a decision that seems to have a spawned a haunting from the dead Gacy himself. On Episode 115, we speak with a mother-daughter duo who share with us their vast array of strange experiences, ranging from encounters with the infamous “men in black”, to sightings of UFOs, to an unsettling find in a house that was previously owned by a butcher... who may have also been a satanist. On Episode 114, Rob, who is a military veteran, will be joining us to talk about the zero gravity aircraft he witnessed before joining the military. He also discusses a situation where he may have come across mermaids in the Straights of Magellan in South America in 2011. 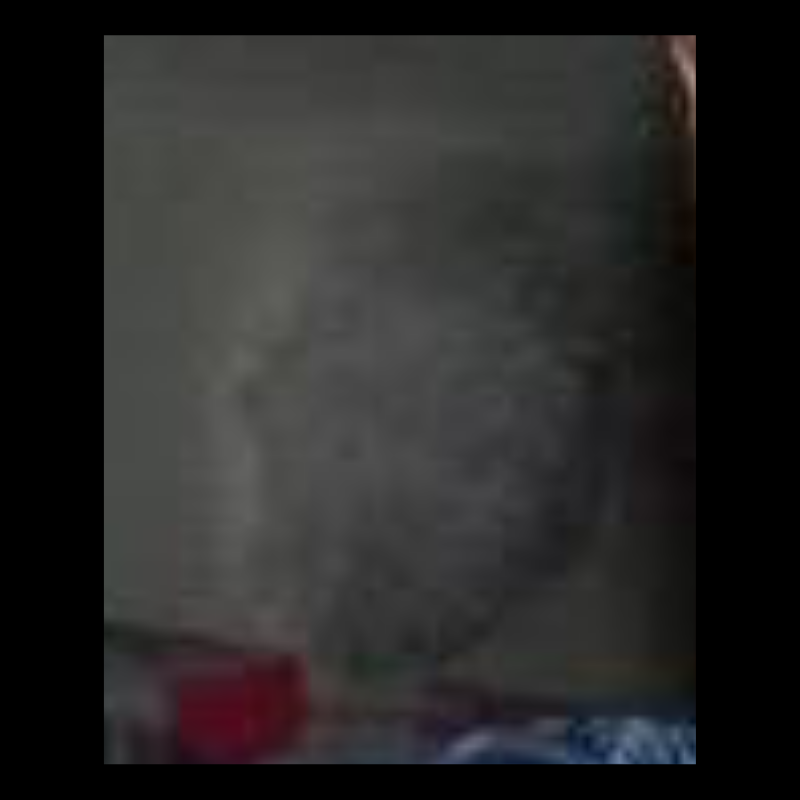 Finally Rob shares several paranormal experiences he has had, including an unexpected face that popped up in a family picture. You can see that picture in the show’s description at theconfessionalspodcast.com! 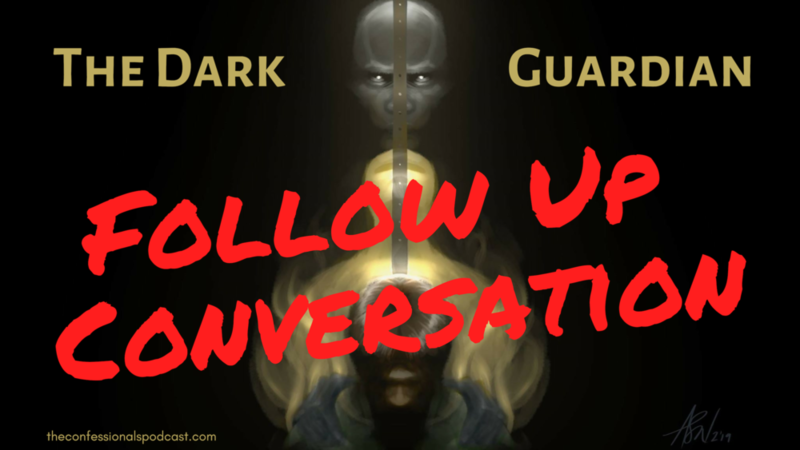 On this follow up conversation we catch up with Jeremy from episode 113 "The Dark Guardian" and find out what has happened to him since we last talked. 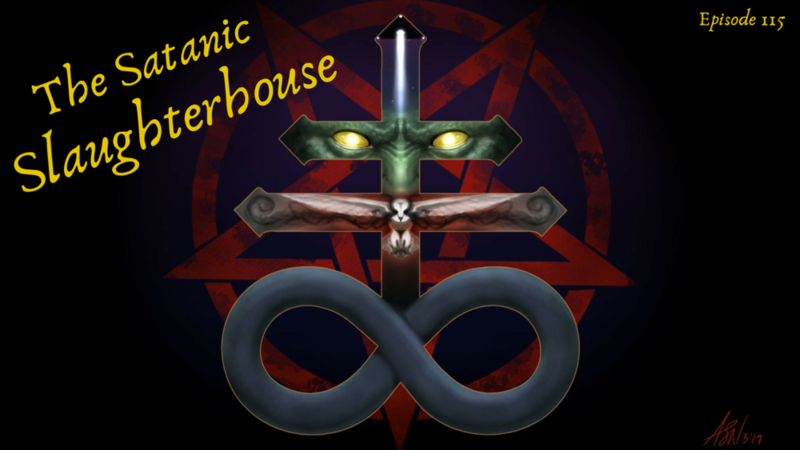 He goes over paranormal experiences he has had, a UFO sighting and talks about a military base that is supposed to be shut down but he insists it is anything but inactive. On Episode 113, we begin the show with an interview with Danny, an explorer of abandoned buildings and the creator of the YouTube channel “Exploring With Danny.” Danny takes us through a frightening experience that took place during one of his explorations of an empty chapel, when he ended up capturing some brief but very scary footage! Following Danny, we talk with Alex, one of the people who filmed a large, pyramid-shaped UFO hovering and rotating over the Pentagon in December 2018. Alex shares the events that night which led to him to filming one of the most extraordinary events of his life. Finally, for our main interview we speak with Jeremy, who has been haunted his entire life by an entity. Someone once told him that the entity was present to protect him, but the experiences Jeremy has gone through have been anything but protective. I was randomly exploring an abandoned Chapel when I came across a real ghost nun nobody knew I was going to the chapel that night I was all alone this was one of the most terrifying moments of my life what I captured that night was breathtaking and I am just fortunate I had it on film this is 100% real do not watch this video alone you've been warned!! In this video, we revisit the pyramid-shaped UFO that was filmed by at least THREE different people hovering and rotating of the Pentagon in December 2018. We show you a new video leak of the event and also interview one of the people who filmed this event! Episode 111 is a special one! It took a direction that was a little unexpected as you will hear in Tony's tone as the interview moves along. Austin shares with us his partial memories of being abducted off-planet, and shares all the details he can remember. But that is only where this episode begins. Austin shares what has happened to him when he began talking about this experience with his father and a friend from school. They were all visited by a unidentified man who threatened them and told them to shut up, in one way or another. After Austin contacted The Confessionals, the threatening nature of these people became more aggressive, and escalated to a point where he felt he had no choice but to speak out to keep himself and his family safe. On today’s two-part show (Episodes 107 and 108), we speak with Keri Burnor! She is an ex-Catholic nun who went through hell after she was sexually assaulted by a priest. After her attempts to try resolving the issue without the court system failed, she filed a lawsuit that went any way but hers. After taking on the Catholic Church, Keri became a marked woman as her phones were tapped, her name was dragged through the mud, and she even had nano tech put into her body during a surgery. The more Keri fought, the more secrets she uncovered, getting too close to the truth for her own good. Now, she lives to tell her amazing story about how she was almost taken out by the highest levels of the Catholic Church and their deep state operatives. In celebration of producing 100 episodes of The Confessionals we are doing a live show where you ask the questions and I give the answers! Nothing is off limits! Thanks to the millions of people who have made the show what it is by listening to our weekly episodes! Without the listeners the show wouldn't have made it this far! On Episode 106, guest Andy joins us to talk about his startling bigfoot experience, when these elusive cryptids started throwing rocks the size of boulders at him! The unexpected event shook Andy up so badly that he has felt pushed away from ever hunting and fishing in that same area again... bigfoot encounters aren't always a pleasant experience! On Episode 105, Kristena joins us to share some of her incredible experiences. Throughout her life Kristena has faced many ghostly incidents, with her most impactful experience occurring on the famous haunted ghost ship, “The Queen Mary” - when a spirit actually left physical marks on her body! Along with her paranormal encounters, Kristena has endured frightening dreams, in which she experiences other people’s deaths, not only seeing their demise but feeling it through their perspective.